Today I'm sharing a card I made by using the Simon Says Dies and Stamps. 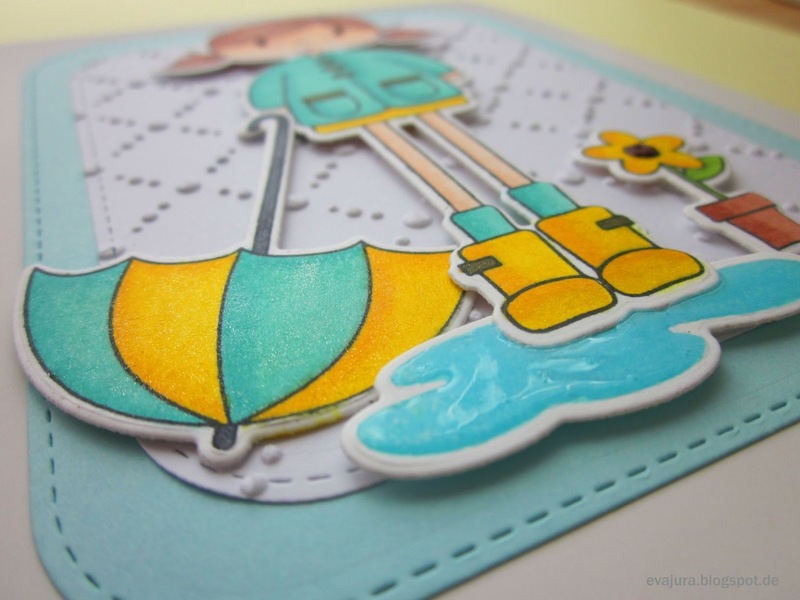 I colored the Abby's Spring Showers stamps with my Copic Markers and then I cut the images with coordinating Spring Showers Wafer Thin Dies from Simon Says Stamp. Over on the Stempelküche Blog is a Challenge that is inspired by three colors and I think, this card matches these colors fantastic. For the center of the flower I used a little bit of a Mettalic Mokka Glitter Glue from Rayher. I love their glitter glues, they have a great quality and contain beautiful tiny glitters. As you might see on the picture, I applied also some Glossy Accents on the puddle to make it look more like water. I couldn't leave the card as it was, so I grab my Wink of Stella Glitter Brush and used it for the umbrella. I wanted to make the eyes pop so I went over the eyes with Enamel Accents Dimensional Glaze from Ranger. 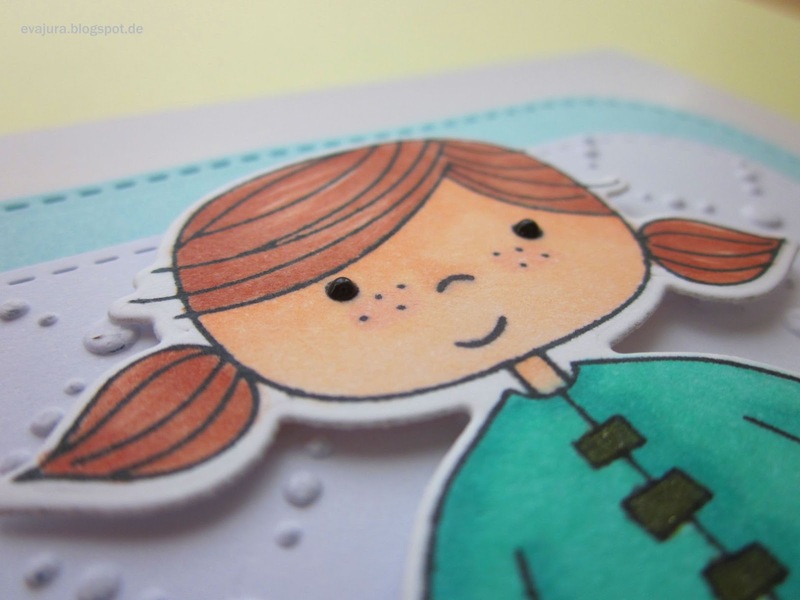 Lately, I use the Enamel Accents for my cards very often because it makes really difference and I like the final outcome. 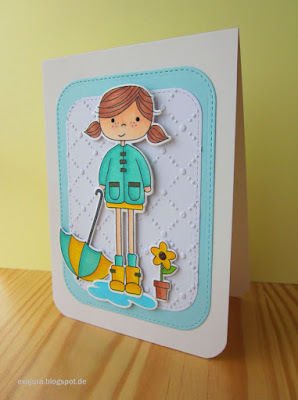 Such a sweet card and great use of the colours, too! 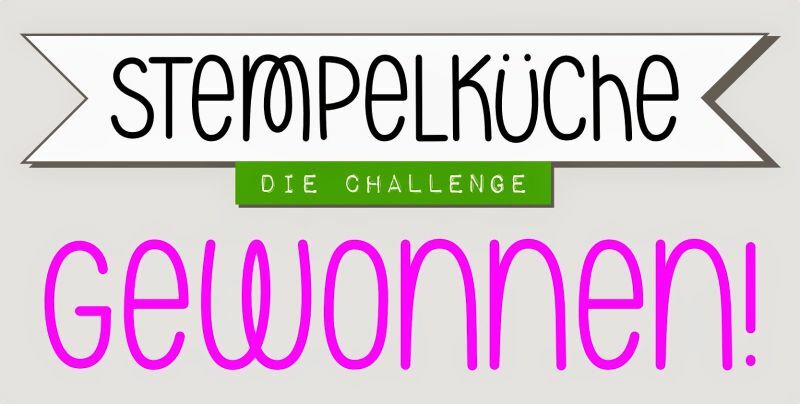 Thanks for joining us at Stempelküche-Challenge! 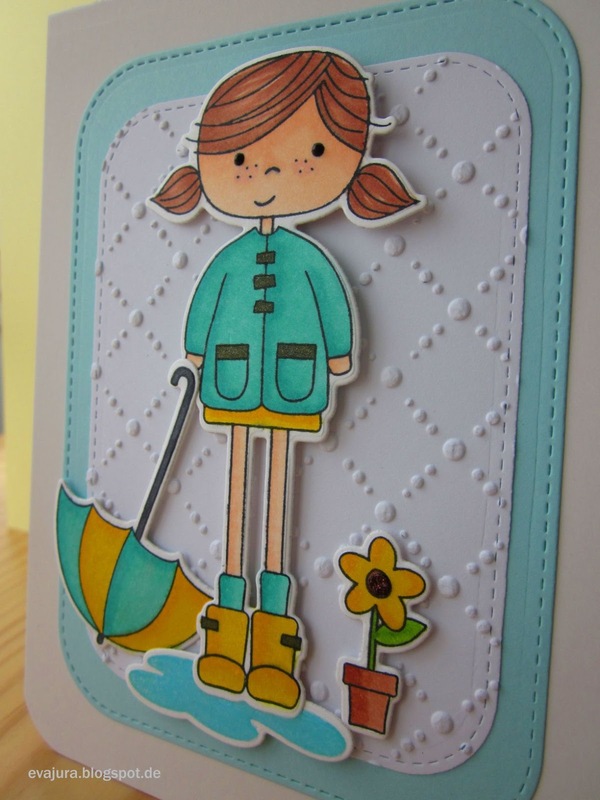 What a cute card, Eva! You really make the colours pop! Thanks for playing with us at Stempelkueche-Challenge and good luck to you! And sunshine, of course!